During the time of its deployment overseas from October, 1917 until the Armistice in November, 1918 the 26th Infantry Division suffered a total of 13,664 casualties including 1,587 KIA (killed in action) and 12,077 WIA (wounded in action). Counted separately were 2,113 men hospitalized for being gassed (burned and/or poisoned) by chemical munitions. The following are notes made in Sam’s pocket diary regarding some of the casualties suffered by the Headquarters Company, 103rd Infantry Regiment during its time in the lines as part of the 52nd Infantry Brigade. 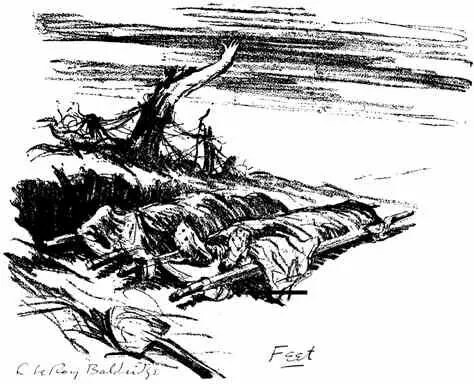 The casualties noted here were likely directly due to enemy fire and not the effects of gas which was an environmental condition faced by all. With one exception no dates of occurrence are noted, but this is a poignant reminder of war’s random cost (as Sam would say, “part of the Game”) and the price paid by some of those who directly served in Hdq. Co. along with Sam. America asked for nothing material when she entered the war. She took nothing material at the peace table. – Brig. Gen. Henry J. Reilly, O.R.C. On this 90th Anniversary of the Armistice that ended the Great War, let us remember the supreme sacrifice made by so many members of the Allied armed forces for the sake of freedom. 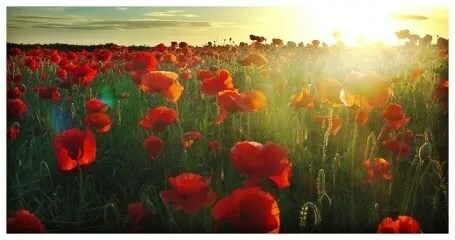 May their memory never perish. Thanks so much for visiting Soldier’s Mail and for your recent question! I hope you find the site fascinating as it is probably the only repository of information on the web regarding the 26th “Yankee” Division in general and the 103rd Infantry in particular during the Great War. Please keep reading as you will see that there is much to learn about Dennis Millett in terms of what he no doubt experienced as he served along with Sam Avery in the 103rd. From what you tell me, Dennis would have been one of the “originals” along with Sam. If your Victory Medal has 5 clasps, they should match what is pictured on Soldier’s Mail (see the Page “Citations and Honors”) which would credit Dennis with all the major campaigns and sectors the 26th saw combat in. If Dennis was wounded on July 16, 1918 it would have been during the Champagne-Marne Defensive when the 103rd was being shelled mercilessly. Dennis would have been evacuated from the area for triage and treatment, and depending on the severity of his wounds probably did not participate in the Aisne-Marne Offensive (2nd Battle of the Marne). 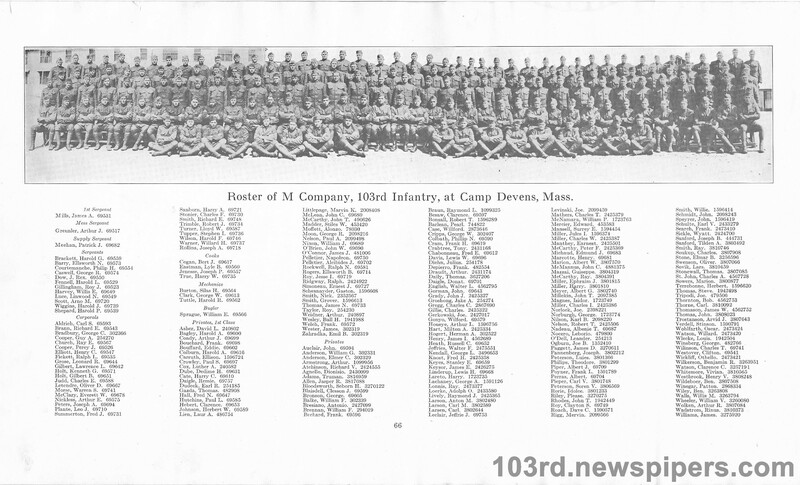 I have a loaned copy of the official 103rd Regimental History (see the title by Col. Frank Hume on the “Bibliography” Page) which lists rosters of all 103rd Regiment personnel by Company while awaiting discharge at Camp Devens in April, 1919. I cannot find a Dennis F. Millett listed anywhere. My guess is that he may have been seriously wounded enough to be detached from the Division and then reassigned elsewhere out of a replacement depot once he had recovered. This is a likely possibility as it was a common practice which negatively affected the morale of the men because often they were denied the chance to return to action with their comrades. Sam Avery was lucky in this respect, but many others were not. I hope this information helps you in some measure. Keep on reading and keep us posted! I have a photo of Co. I, 103rd Infantry A.E.F. April 1919 that came in a frame that I liked. The photo which is in pretty good shape is about 8″x36″ and I would gladly ship it to anyone who has interest in it. My grandfather was John T. Clemens of Weld, Maine. He was assigned to company C of the 103rd and participated in both the Aisne-Marne and Champagne-Marne engagements as well as something called the “Defensive Sector” He was twice wounded once on July 21, 1918 and again on October 29, 1918. Our family was told he had part of his stomach blown out and laid under a bridge with a wounded German soldier for three days before luckily American troops found him. Any information would be appreciated. It says he was shipped home November 18, 1918. All of his persoanl papers and records were destroyed in a fire at his home so we lost all his pictures etc. I distinctly remember a picture of him with General Pershing. We were always told that he was wounded in the Belleau woods but he seldom spoke of the war although all of his sons joined the militray during WWII, Korea, and Viet Nam. He died in 1968. I am the archivist for the Olmsted Historical Society in N. Olmsted, OH. Recently, I was looking over some World War I military items which were donated to the society some years ago. I found the dog tag of Knud Knudson, a draftee from Rocky River, Ohio who was born in Denmark. He first served in the 158 Dep. Brig. then the 322 Inf. before being transferred to Co. G, 103 Inf. on July 26, 1918. He remained with the 103 Inf. until receiving an Hon. Disch. on April 21, 1919. His dog tag will be displayed in the society’s museum. My grandfather, George Bronson served in M company of the 103rd Infantry. 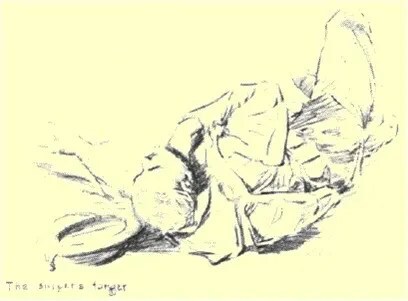 He was wounded during the St. Mihiel Offensive. I was told that he was hit in the head and right wrist with shrapnel when a tree he was standing by was struck. He was discharged at Camp Devens and died in 1933 when my father was just 13. You can tell by my middle name that my father must have been quite impressed by the respect my grandfather had for General Pershing. My father, William F. Bronson also served for 20 years in the Army during WWII and the Korean War. I am creating a family tree for my granddaughter which is how I found my grandfather’s WWI info. I would greatly appreciate any information about his time there. I have no pictures or any info about what citations he might have had. You have the names listed here as McLaughlin twice Hospital #36 and Hospital #18. 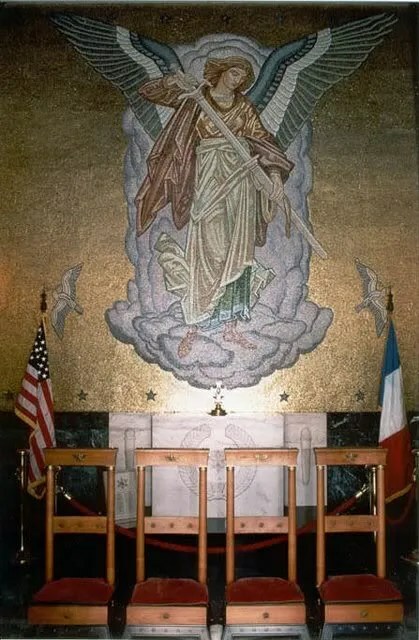 Both my grandfather John J. McLaughlin of Hanson, MA and his brother Robert McLaughlin of Hanson, MA or Newton, MA were in World War I in France. My grandfather told me he was wounded by some type of bayonet. I am not sure if this would be him or not, and my grandfather had a tendency to tease us when we were children and loved to tell stories. My grandfather, George Bronson served in M company of the 103rd Infantry. 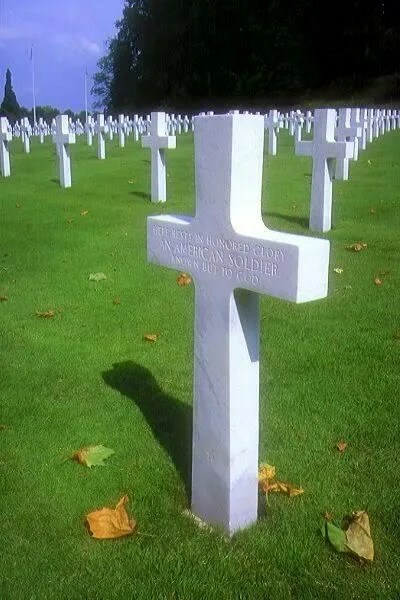 I have a third cousin (Gustav Roerich) who is buried in the American cemetary at St. Mihiel, France. He was KIA on 16 June, 1918. He belonged to the 103rd Infantry, 26th Division). Here’s the odd part. Gustav grew up in Nebraska (farm boy). He enlisted from there. Given the 26th was made up of guys from New England, I’m confused how he got assigned with them. If anyone reading this has an explanation, thank you. An update from my previous message. I finally received information from the NPRC in the form of a final pay voucher and found out that my Grandfather was transferred to the 111th infantry regiment, 56th brigade, 28th infantry division upon arrival in France. Most likely to the Headquarters company. This was the only information my father could remember my grandfather passing onto him. So he never was in the 26th ID. Any idea regarding collar insignia if runners would have used the standard crossed rifles or if they would have used an “HQ” collar disk? Saw one on ebay but it was a reproduction. My grandfather served in the 26th in WW1. His name was Ambrose Karroll Richards. I still have his helmet. Can anyone help me find any documents that might tell of his actions. 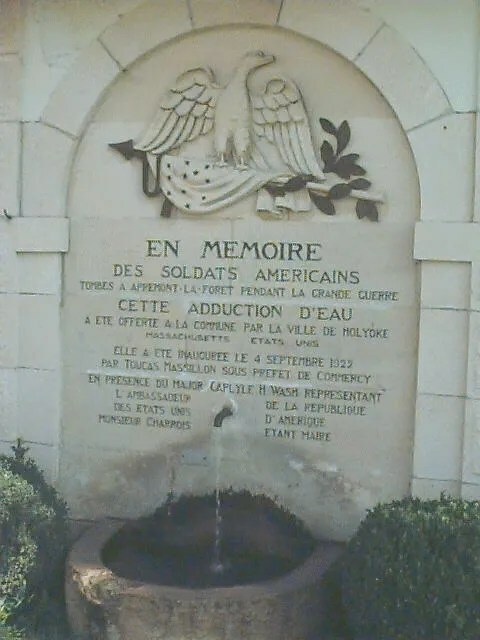 for a Facebook friend in the US trying to find the burial records and burial place of her family member Vaudreuil, Arthur P., Co. L., 103rd Infantry 26th division, died of wounds Feb 1918 in the region of Chemin des Dames France. He doesn’t come up in the ABMC records. Am trying to verify that my grand-uncle Alvah Deward White served per his military records. He was assigned to Company L, 103rd Inf. from early 1918 to discharge in October 1919. It is listed that his org. received the Croix de Guerre. I don’t see his name listed in the 103rd listing however. He joined in Houlton, Maine – probably as a member of the Maine Army Guard. Any info/verification/pointers in the right direction are appreciated. In order to find my Grandfather’s registration records I went to the Maine State Archives in Augusta where all of the National Guard records were sent. They are in a box in no discernible order but with patience I found his record. That would be my suggestion for you. My grandfather was in company C. By the way a new book just came out called “The Five Lieutenants” which details the careers of the “officers” of the 28th and 26th divisions. It gives pretty good detail of what life was like for the Lieutenants who were mostly college boys. The story centers on 5 boys from Harvard who became Lieutenants and went over with the first AEF boys. It was written by James Carl Nelson and available through Amazon. This is a great site! Thanks for sharing your information! My Great Grandfather was Hubert Howard McLaughlin. I was recently given letters he had written from France during WWI. It says he was in Co. B of the 103rd 26th Div. 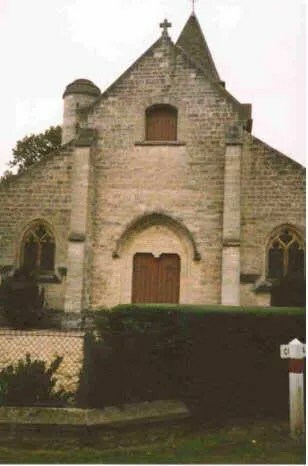 in Requeil, France. I also have his “Yankee Division” insignia, but it confuses me as he lived on the Alabama/Tennessee border, I’m not sure how he ended up in the Yankee Division. Any information you could share with me about him or anything relating to his service would be very appreciated! Thank you! My great grandfather served in the Yankee Division during WWI and was possibly in the 103rd somewhere. He was wounded at St Mihel I do believe in September 1918 and later received the Purple Heart, Distinguished Service Cross, and the Criox de Guerre. His name was Herbert Bringham Kendal and he was originally from Lynn, Massachusetts but I do believe he joined in New Hampshire. 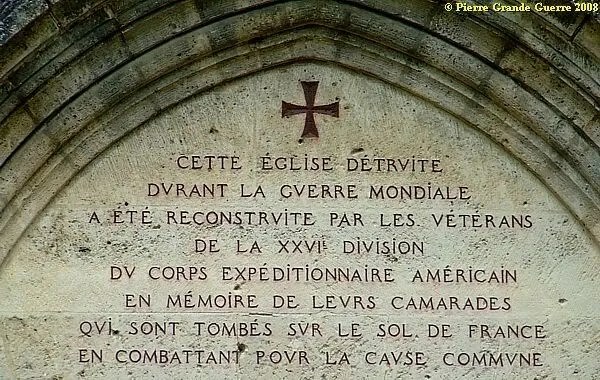 I have heard from my family his wounds were so severe he didnt leave France until 1919. He passed in 1972 but passed on a great family name. My grandfather, Charles E. Coates, was a bugler for the 26th div 103 out of Providence. He lived, his little brother, Howard C. Coates, whom he was made to swear to keep safe, died on July 18 during the Aisne-Marne offensive while my grandfather was dispatching a message. I found the grave of his brother (http://www.abmc.gov/search-abmc-burials-and-memorializations/detail/WWI_1107), but would love to find any info on Charles E. Coates. My grandfather, Herbert Lee Barber, was a member of Company E, 26th Division, 103rd Infantry. 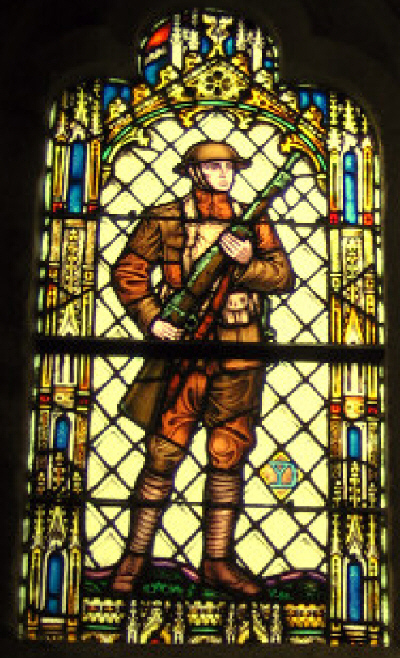 He was gassed on 23 July 1918 at Chateau-Thierry and was taken to a hospital. 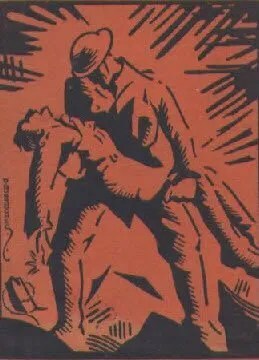 He did survive and became a member of the Military Police in Germany. Any information and or photos would be appreciated.